Ten years ago, the “canned cocktail” field was populated with syrupy-sweet malt beverages with names that ended in “rita” and didn’t start with “marga.” But today’s canned cocktails have caught up with the craft movement of the bar world. Now made with real ingredients and real spirits, they’re not only palatable, but actually good and certainly worth stocking up on for backyard cookouts and beach trips. Because who wants a boring can of light beer when you can have a cooler full of ready-to-drink Gin & Tonics? Here, the five canned cocktail brands to try this summer. And a quick word of advice for airlines: You need these ASAP. Spritzy, tangy and sweet, these sparkling Caipirinhas taste shockingly like the real thing, complete with cachaça’s signature funkiness. 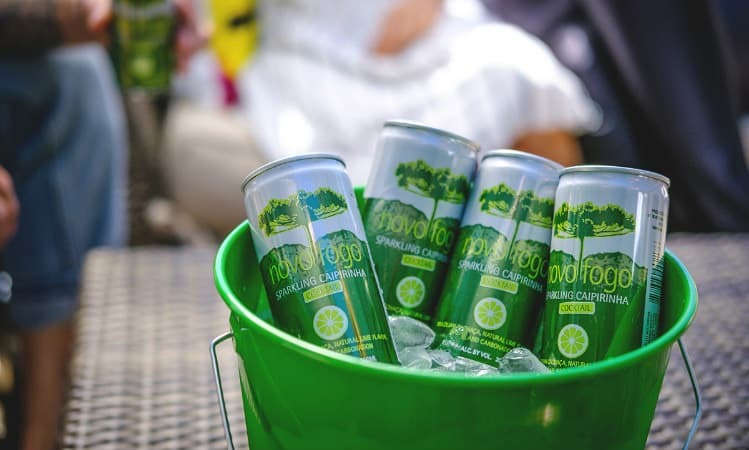 Almost too easy to drink, these petite green cans are magnificently refreshing and would be great at any party, or just cracked open for an easy happy hour on the porch. At 11 percent ABV, they’re boozier than most beers but slightly less so than a glass of wine, aka the day-drinking sweet spot.